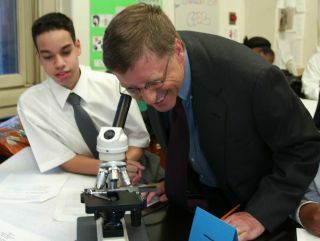 Microsoft founder Bill Gates has explained his belief that developments in low-cost mobile phone technology can improve global health. Wider adoption of mobile tech across the developing world can improve healthcare with improved diagnostic tools and more efficient immunization programs, said Gates at this week's mHealth Summit. "The mobile phone is pretty interesting for lots of things," Gates said in his keynote address at the mobile health event. "There's a whole lot of opportunities. I think we have to approach these things with some humility though," added Gates, noting that much of the developing world still has no internet or data connections. "I do think there's absolutely a role (for mobile technology to impact global health) but I think we have to hold ourselves to some pretty tough metrics to see if it's really making a difference or not." Gates noted how phones can impact on TB diagnosis, as well as offering better immunization programmes and patient reminders. "You could get people to take medicines regularly, that's a huge one."